So delighted to be re-launching my sponsorship program! A huge, warm welcome to my newest sponsors who are all awesome. So proud to have them! If you'd like to be a sponsor (includes your ad in the sidebar + ongoing sponsor spotlights) we'd love to have you! Just send a quick email to Dani at: superherolife@gmail.com to get all the details. *Holiday sponsor spots will go quickly, so feel free to reserve now! The Do What You Love e-course is a groundbreaking online adventure which will take you step-by-step on a path to discovering your true passion, and finding a way to make it a greater part of your everyday life. In six weeks you will expand your comfort zone, nurture your playful spirit and use this to feed your creative soul. You will travel this path with a community of like-minded people from across the world, sharing your stories, forging new connections, and inspiring each other. A rich combination of exercises, thought-provoking posts, inspiring interviews and real life stories will ensure you emerge more confident, more curious and much more likely to end up doing what you love. This will be like no other class you have ever taken. And it might just change your life. Class begins on September 26. 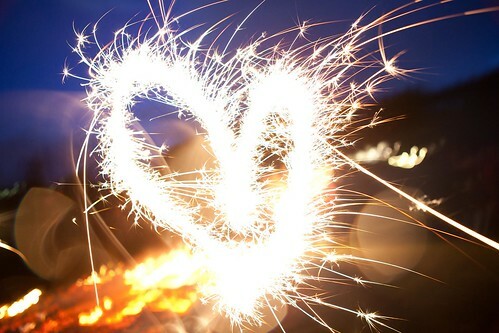 Could you use an extra dose of courage and self-confidence to move forward in the direction of your creative dreams? 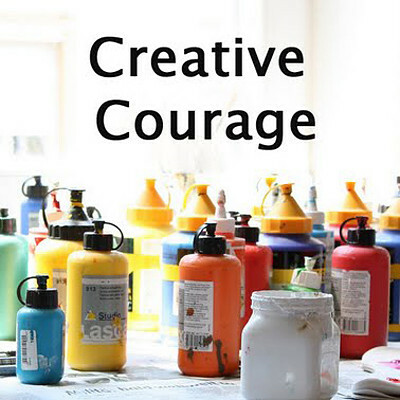 Artist/illustrator Stephanie Levy is starting a new e-course this fall called Creative Courage which will run from September 26th - November 11,2011. The course is designed as a practical guide to help you clarify and follow your own unique, creative path. It includes exclusive interviews with 12 talented and thriving artists, illustrators, designers, photographers, writers, coaches, and bloggers from around the world! Our guests this session will include Susannah Conway, Jessica Swift, Aimee Dolich, Pixie Campbell, Shannon Kinney-Duh, Sarah Ahearn, Jan Halvarson, Penelope Dullaghan, Maryam Montague, Alessandra Cave, Tara Gentile, and Jennifer Lee. There will be colorful, fun activities to do at your own pace, plus Stephanie's personal resources and links for your encouragement and inspiration. As a special bonus in Week Four, participants will travel with Stephanie on a *virtual field trip* to Venice, Italy and peek behind the scenes at the world renowned Venice Biennale international art exhibition. She'll be sharing exclusive photos and impressions directly from Venice. The Creative Courage e-course is designed as a global meeting point for everyone who wants to realize their creative goals. If you are interested in finding out more about this unique e-course, click here. The When I Grow Up Coach had an idea! "Let’s put all my career change exercises into a workbook," she thought. That a Dr.Seuss-like career change workbook would be the perfect solution! and trade ’em in for a standing ovation! 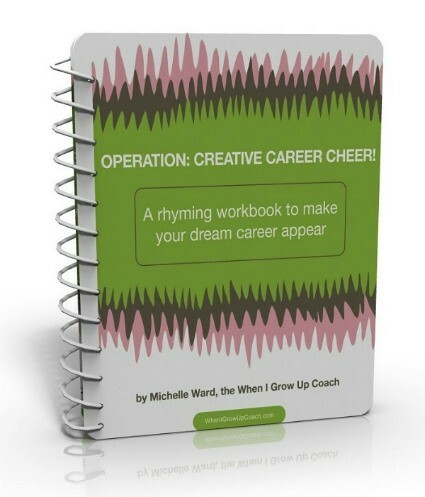 A Rhyming Workbook to Make Your Dream Career Appear! Hi, my name is Lindy Gruger Hanson and I live in the high desert of Central Oregon. I love to create colorful, whimsical paintings and prints! Vivid color is always one of the most important elements in my work; this is followed by the liberal use of flowing, swirling line-work, lots of pattern, and odd shapes and symbols. My aim is to create paintings with the belief that art can inspire people, make a house a home, and bring joy and positive energy into the world. 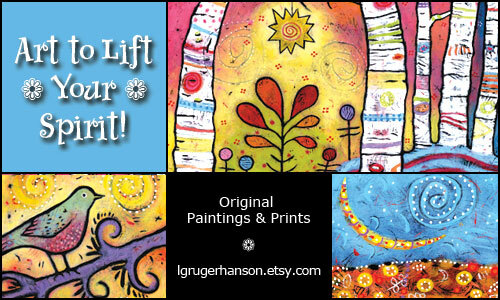 I hope you'll stop by my Etsy shop to purchase colorful prints and visit www.lgruger.com to see my original acrylic paintings. For all Superhero Journal followers, use coupon code Superhero2011 to receive 10% off any purchase in my Etsy Shop.